Home » Retirement Planning » What Is A Nondeductible IRA? A nondeductible IRA is in many ways the same as a traditional IRA. The contribution limits are the same, the money grows tax-free, which means you don’t pay taxes on gains or dividends and to be eligible to contribute, you must have received earned income. The difference is, with a nondeductible IRA, you aren’t allowed to deduct your contribution from your income taxes like you can with a traditional IRA. However, you’ll avoid capital gains and dividend taxes as your money grows. The downside of a nondeductible IRA is, the money that you would’ve saved on those tax deductions could’ve been compounding over the years. It’s almost always better to contribute to a Roth IRA or traditional IRA, however, there are circumstances which you can benefit from using a nondeductible IRA, depending on your personal situation. You earn a high income: If you’re in a high tax bracket, you won’t get to deduct anything on your income taxes if you use a traditional IRA so a nondeductible IRA would be a better choice. This is true if you are single and have a modified adjusted gross income (MAGI) of $72,000 or are married and filing jointly with a MAGI of $119,000 or more. 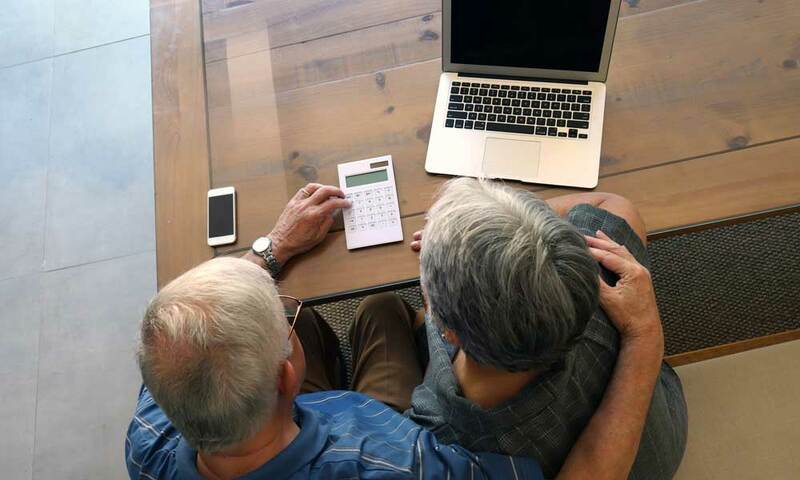 Your spouse has a retirement savings plan at work but you don’t: Your spouse’s retirement savings plan might cause you to be in a high tax bracket if you’re married and filing jointly. This can cause you to be out of reach of a traditional IRA deduction. If your combined income is over $186,000, a nondeductible IRA might be a good option. Tax-Free Gains: The general premise of a nondeductible IRA is that the contributions made without an initial tax break can grow without further taxation. However, if an investor has both deductible and nondeductible IRA contributions, even in separate accounts, only a portion of the gains may be tax-free. Backdoor to a Roth IRA: If you earn too much to qualify for a Roth IRA, it may be possible for you to contribute to a nondeductible IRA and then convert that to a Roth IRA. There are tax implications with this method, often called a Backdoor Roth IRA; however, it provides for high-income earners who want to contribute to a Roth IRA. It’s an Option to Contribute if You Don’t Qualify for Deductible Contributions: There are a lot of reasons why you might not qualify to make deductible IRA contributions, but your income level is usually the biggest one. You might also be over the household income limits when combining your income and your spouse’s, even if only one of you has an IRA. Your workplace retirement plan could affect your deductible contribution limit as well. Whatever your circumstances, a nondeductible IRA lets you contribute despite your income level. If you make nondeductible IRA contributions, you must file Form 8606, which is used for Roth IRA distributions and conversions from traditional, SEP, and SIMPLE IRAs to Roth IRAs as well. If you make a nondeductible IRA contribution, you will need form 8606 at tax time and later on when you start taking distributions from any of your IRAs. Failure to file this form could result in a $50 penalty, which may seem small, yet IRS penalties can grow out of control quickly with fees and interest. Other than how contributions are taxed, traditional and nondeductible IRAs work the same. In fact, you can make nondeductible contributions into a traditional IRA in which you have previously made deductible contributions. (However, that can affect your taxes down the road.) Traditional and nondeductible IRAs have the same total contribution limits. You must have received taxable income in the contribution year, and contributions must cease when the owner reaches age 70 ½, the age where you are required to begin drawing funds out of IRAs. Do All Nondeductible Contributions Grow Tax-free? While the idea is for nondeductible contributions to grow without further tax, any deductible contributions you have made to any IRA will affect your nondeductible earnings. The mistaken belief is that the money is considered entirely separate. However, they are considered proportionately among all your IRA holdings, even Roth IRAs. For example, if you made $50,000 in nondeductible contributions to an account now worth $200,000, the mistaken belief is that only the $150,000 deductible contributions (¾ of your contributions) would be taxable. The reality is that the percentage for each IRA will be calculated based on all IRA holdings. Therefore, if you have five other IRAs that were all deductible contributions totaling $200,000, the nondeductible percentage is figured from the grand total of $400,000 in contributions. This makes the taxable percentage 87.5 percent instead of 75 percent. While a Roth IRA represents a type of IRA for nondeductible contributions, it isn’t the same as a nondeductible IRA. Where contributions to a Roth IRA are limited by income, you may be able to make contributions to a nondeductible IRA with a higher income level. Additionally, circumstances may allow nondeductible contributions into an IRA where you have previously made deductible contributions. Once deposited, look to possible rules for transfer of that nondeductible IRA into a Roth IRA. A nondeductible IRA is considered a last-resort IRA option by most experts. It serves a purpose for those who fall above the Roth IRA contribution limits and the deductible contribution limits of other IRAs. It provides a way to get money into the IRA system without the up-front tax deduction. The big catch of nondeductible IRAs is the fact that nondeductible contributions are calculated using a percentage of all IRA holdings and can take a big bite out of savings growth that you might think would be tax-free. The additional filing form and the associated penalty for omission can also add to the hurdles in using a nondeductible IRA for retirement planning. While a nondeductible IRA can be a good option for those making only nondeductible contributions, it might not be the most advantageous option for those with considerable deductible contributions already saved. It’s recommended you contribute enough to your workplace retirement account to get the employer match. Next, if you’re eligible for a Roth IRA, start contributing to one. Your third option should be, if you’re eligible, open a traditional IRA to get the up-front tax deduction. Finally, if you’ve maxed out all of your options, opt for the nondeductible IRA. What is a Self-Directed IRA? What Is A SEP IRA? What Is A SIMPLE IRA? What Is An IRA? What Is A Roth IRA?